The holiday season is almost upon us. Only 10 weeks to go! Have you got a plan for surviving the holidays yet? Every year, around this time, I start planning in earnest so the whole holiday season is as organised and stress-free as possible. A large part of that planning is directed at ensuring I have sufficient funds set aside to pay for all the gifts, food and activities for the holidays. Do yourself a big favour. Save yourself some stress and figure out what you’ll need for the holiday season now. Once you know what you’ll need to cover your expected expenses, you can make a plan to ensure you can easily cover them. My budget is pretty tight so sometimes I need to get creative when I need to build some surplus into my budget or find some extra cash to supplement my business income. Blogging is one way I earn extra money but sometimes you need to find a few dollars quickly. 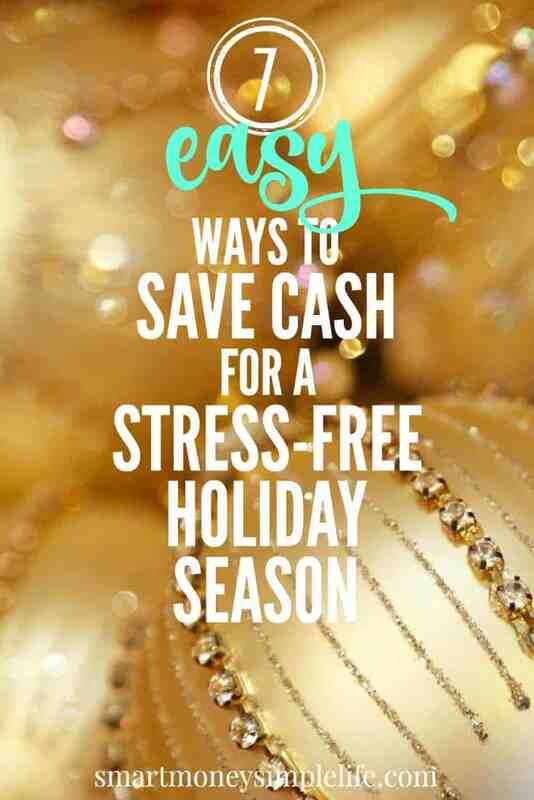 Here are some quick and easy cash savings so you’re in control of your finances this holiday season. If you’ve ever seriously tracked your spending, you’ll know how easy it is to blow stacks of cash on impulse purchases every week. Try a spending freeze for a week each month and instead, put that money toward your holiday season spending. It might sound like a lesson in deprivation but not buying any non-essentials, like that $10 a tub ice-cream, for a week or a month won’t kill you but it will ensure you enjoy it for the treat it is when you do allow yourself to buy it again. Who knows, you might decide it’s a habit you no longer feel the need to indulge in! Eating out for lunch can cost up to $40 per week, more if you work in the inner city where cafe prices are often inflated. Preparing your lunch to take to work doesn’t require a huge effort. Depending on the facilities available in your office lunch room, you could take sandwiches, leftovers, soup or a salad. Spending an hour on Sunday prepping your week’s lunches could save you serious cash. Plus, you don’t have to brave the lunchtime crowd during your precious midday break. Do you swing through a drive-thru each day to grab a coffee so you can survive your morning commute? If you do, you could save a fortune by investing in a Travel Mug and taking your coffee with you from home. Most people have a coffee maker at home; a drip filter, single serve pod, french press or even an espresso machine. Make the most of it! Even an expensive travel mug will pay for itself in a week or so. That travel mug also means less waste. A crock-pot like this can save you a fortune. And, a ton of time. When life gets busy it’s easy to slip into the habit of relying on either eating out or grabbing takeout on the way home. Instead, dust off the Crock-Pot and try a slow-cooked meal or two each week. Especially those days you know you’ll be flat out and most tempted to choose the easy, but expensive option. Not sure what to cook? Jump onto Pinterest and check out the hundreds of delicious recipes available. There are lots of prep ahead recipes you can package and freeze. You could easily save hundreds of dollars every month by swapping eating out for a slow-cooked meal at home. Generic products can be much cheaper than their name-brand counterparts. Swapping to generics can save a heap of cash on your grocery spending but it can also save you money on over the counter and prescription pharmaceuticals, too. Paracetamol tablets with name-brand packaging can cost three times the generic version. Always check to make sure you’re comparing apples with apples by checking the active ingredients before making the swap to generics. If you take prescription medication, ask your doctor about allowing the pharmacist to fill the prescription with a generic brand if one is available. It could save you a lot. We all have stuff around the house and garage we could sell, but most of us don’t take the time to do it. Yep, me included! Time to get that stuff into someone else’s hands, preferably by putting some cash in yours. Drag out the calendar and pick a date. If you’re having a yard sale, round up some help if you think you’ll need it on the day. And start sorting, it’s a great way to get rid of your clutter. There are lots of options for selling stuff online now including local Facebook ‘buy/sell/swap’ groups, eBay and Craigslist. If you’re selling online, make sure you have lots of good quality photos and include close ups of any wear and tear or damage. And, make sure your description is detailed and includes specific measurements. Budgets need to be maintained, too. Make sure your budget still reflects your current income and spending and that every dollar is accounted for. If you don’t allocate every dollar you earn to a specific job, it’ll disappear into all those non-essential purchases you avoided during your spending freeze. And, always remember to allocate your savings first then figure out your spending needs. The holidays are meant to be a time of joy and fun. Don’t undermine that by stressing about money or spending money you don’t have. 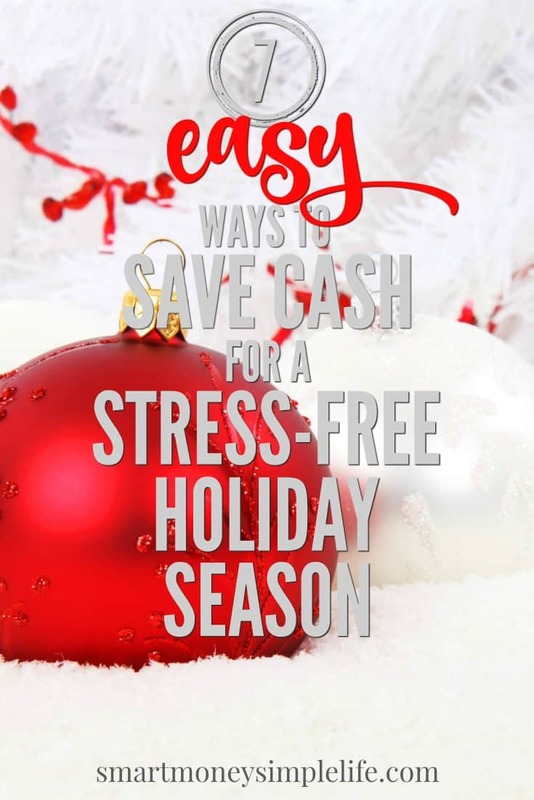 Use these quick and easy ways to save the money you need for a wonderful holiday season. Once you’ve got the money side of the plan sorted, you can kick back and enjoy planning the rest of the holidays. This is wonderful advice Di, Thank you. I do hope you put a little aside to spoil yourself for your birthday though. Hope it was a good one with many more wonderful years to come for you my old friend. Thank you for remembering… We need to catch up! This are all great tips, I think another wonderful way to save money this time of year is to make your gifts. There are so many easy and simple gifts to make, especially food gifts, they have the added benefit of not clutter up the receivers home after the holidays are over. Thanks for sharing all these ideas! Making consumable gifts is a great idea. After all, it’s the thought that counts. And, who doesn’t love homemade goodies?! This is a well written list of ways to save money, with Christmas literally around the corner it definitely makes sense to put some of these into practice!